UNION KICKS OFF 2019 SEASON TODAY AT TALEN ENERGY! UNION SELLS ALL 5 DRAFT PICKS TO CINCY FOR UP TO $200,000! 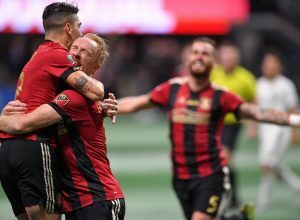 ATLANTA UNITED WINS MLS TITLE IN ONLY THEIR 2ND SEASON! 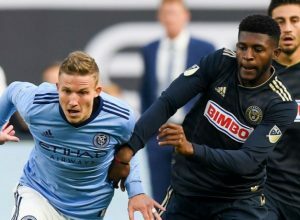 WATCH UNION LOSE TO NYCFC 3-1 AS THEIR SEASON ENDS! KNOCKOUT! 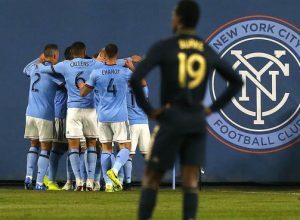 UNION ELIMINATED FROM PLAYOFFS BY NYCFC! 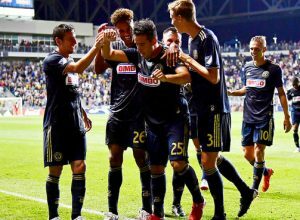 UNION WILL CHANGE IT UP AGAINST NYCFC IN PLAYOFFS TONIGHT! 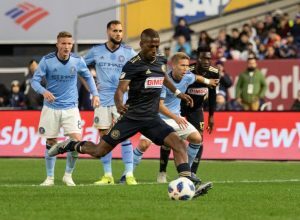 UNION LOSE TO NYCFC (AGAIN), BLOW SHOT AT PLAYOFFS HOME GAME! 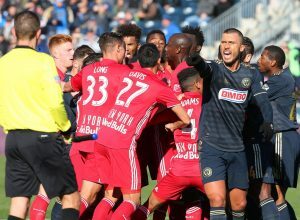 UNION LOSE TO RED BULLS 1-0, BLOW BID TO MOVE UP FOR PLAYOFFS! 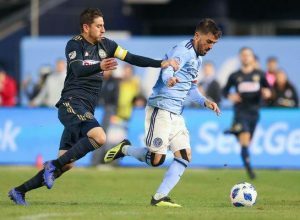 No sports has taken the local market by a bigger storm than the Philadelphia Union, the four-year-old member of the Major League Soccer. 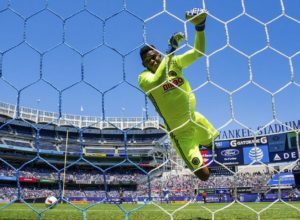 And no one symbolizes soccer's growth in this market - with Union news, Union blogs and Union rumors seemingly everywhere - better than Philadelphia Union CEO Nick Sakiewicz. "My high school played games in Philly and always got beat up," he says as he sits in his spacious office with a view of the the Union's home, PPL Park right out his window. "So I had a pretty good feel for the city even when I was a kid. Plus, my family used to take us down here for trips." Sakiewicz played professionally in both France and Portugal. After the World Cup in 1994, where he ran marketing for Mastercard and met all of the founding fathers of the new Major League Soccer, Sakiewicz joined the new league at its inception in 1995 as VP of sponsorship sales and relocated to Manhattan. In 1996, the league asked him to take over as president of the league-owned Tampa Bay Mutiny, and he was named MLS executive of the year after three seasons. So, when he got a feeler about joining a new team in Philly as CEO and a member of the ownership group - along with Jim Nevels, Jay Sugarman, Robert Buccini, David Pollin, William Doran and Paula Mandle - Sakiewicz fairly leaped at the chance. "Philly is a great town and a great sports town," Sakiewicz says. "But it isn't a real international city. Well help with that. We pride ourselves in that." When he was informed recently that the last professional sports franchise started in this town that lasted more than a couple of years was the Flyers in 1967, he was taken aback, especially considering the way Union news, Union blogs and Union rumors have proliferated. " Just another element of the challenge. 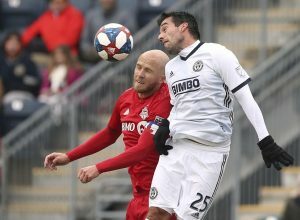 Now, on the heels of the 2014 World Cup and interest in American soccer sky, Union news, Union blogs and Union rumors have more resonance than ever.